Köln and Hamburger SV face at RheinEnergieStadion, in a match for the 29th round of the 2. Bundesliga. In the last league head‑to‑head, played in 05‑11‑2018, Hamburger SV got a home win by (1‑0). The head‑to‑head history at this stadium, favours the home team, since in the last 4 head‑to‑heads they won 2, tied 1 and lost 1. Nevertheless, in the last head‑to‑head played at this stadium, for the Bundesliga, on 25‑08‑2017, Hamburger SV won by (1‑3). F. Sørensen (90' ) scored for Köln and A. Hahn (28' ), B. Wood (34' ) and L. Holtby (90' ) for Hamburger SV. Hamburger SV registers significant differences between home and away results, so special attention is due to the home/away factor. After 18 wins, 4 draws and 6 losses, the home team is in the 1st position, havinf won 58 points so far. In the last match, they have tied in an away match against MSV Duisburg by (4‑4), after in the previous match they have won (0‑2) an away match against Heidenheim. This is a team that usually maintains its competitive levels in home and away matches, since in the last 30 matches they register 9 wins, 2 draws and 4 losses in away matches; against 10 wins, 2 draws and 3 losses at their stadium. 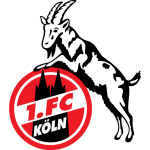 For the league, Köln won 22 points out of 30 possible points, after 7 wins, 1 draw and 2 losses in the last 10 home matches. In their home league matches the most frequent result at half‑time was the 1‑1 (5 out of 14 matches). They haven't been very strong defensively, since they have suffered goals in 7 of the last 10 matches, but their offense has scored frequently, since they have scored goals in 9 of the last 10 matches for this competition. There is a tendency for goals in their home matches, since 12 of the last 14 for this competition have ended with Over 2,5 goals. In 28 matches for this competition, they have conceded the first goal 9 times, but have turned the score around in 3. In the last 14 home matches for this competition there is 1 period that stands out: they have conceded 7 of their 18 goals between minutes (61'‑75'). At least until now Köln have been successfully fulfilling their goal of the season and the expectation is to maintain this, so much is that their focus is only to win positive scores, no matter where they play. Today the team's thinking is totally return to the elite and for having the motivation to rise division is that they want to have regularity, after all this is important to keep their campaign satisfactory. In this round they hope to show their potential and not make mistakes, after all they want to get a favorable score to the final whistle to continue to successfully fulfill their goals. For this match coach Markus Anfang will not be able to count on Niklas Hauptmann and Matthias Lehmann who are in the medical department. Confirmed Lineup: T. Horn, Jorge Meré, R. Czichos, J. Geis, D. Drexler, C. Clemens, J. Hector, M. Höger, F. Kainz, J. Córdoba, S. Terodde. The away team is currently in the 2nd position of the league, with 51 points won, after 15 wins, 6 draws and 7 losses. In the penultimate match, they tied in an away match against Bochum, by (0‑0). In the last match, they lost in a home match against Magdeburg, by (1‑2). This is a team that usually gets better results in away matches than at home, since in the last 30 matches they register 9 wins, 3 draws and 3 losses in away matches, with 26 goals scored and 15 conceded; against 8 wins, 3 draws and 4 losses at their stadium, with 18 goals scored and 19 conceded. 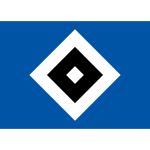 In the last 10 away league matches Hamburger SV has a record of 5 wins, 2 draws and 3 losses, so they have won 17 points out of 30 possible. Their offense has scored consistently, as they have scored goals in 8 of the last 10 matches for this competition. In 28 matches for this competition, they have conceded the first goal 7 times and have only turned the score around in 1. In the last 14 away matches for this competition there is 1 period that stands out: they have conceded 5 of their 13 goals between minutes (16'‑30'). Even after losing lead Hamburg are at the top of the 2.Bundesliga's table, after all are a candidate for access and continue fighting for the title, so hope to maintain this good time. That's precisely why they want a good result, expecting to play very well and leave the field with that, after all points should be added at home and also away. Today it is important to show a pattern of play and have a positive sequence in performances and results, after all this is important to achieve their goals in the championship. For this match, coach Hannes Wolf will not be able to count on Aaron Hunt, Hee-chan Hwang, Jairo Samperio and Stephan Ambrosius who are in the medical department. Confirmed Lineup: J. Pollersbeck, Douglas Santos, R. van Drongelen, G. Jung, L. Lacroix, G. Sakai, B. Jatta, B. Özcan, K. Narey, V. Janjičić, O. Mangala. Köln will have an important game in this round, so it will be very important not to waste points as they will face the vice-leader of the competition. Hamburg will have a good chance of taking points from the leader but know that playing away from home will not have an easy task. Playing at home, Köln are very strong and take advantage of this fact to conquer yet another great result. Our betting alternative will be in Köln's victory until the end of the 90-minute game.